To see more of my latest Images < Click Here >. Click on any photograph to see a larger view. 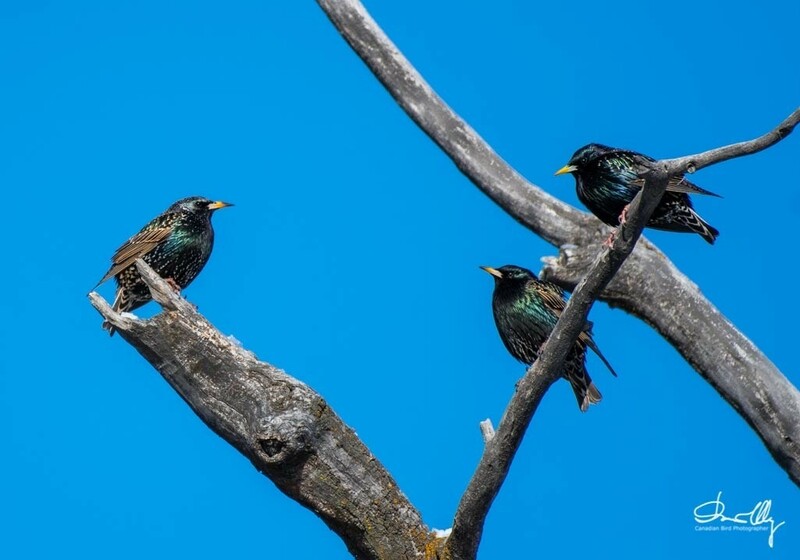 Starlings arrive early in parts of Canada. They seek out the best nest holes and protect them from the Northern Flickers and House Sparrows. This year in Alberta winter is still in the air, but the Starlings have arrived. 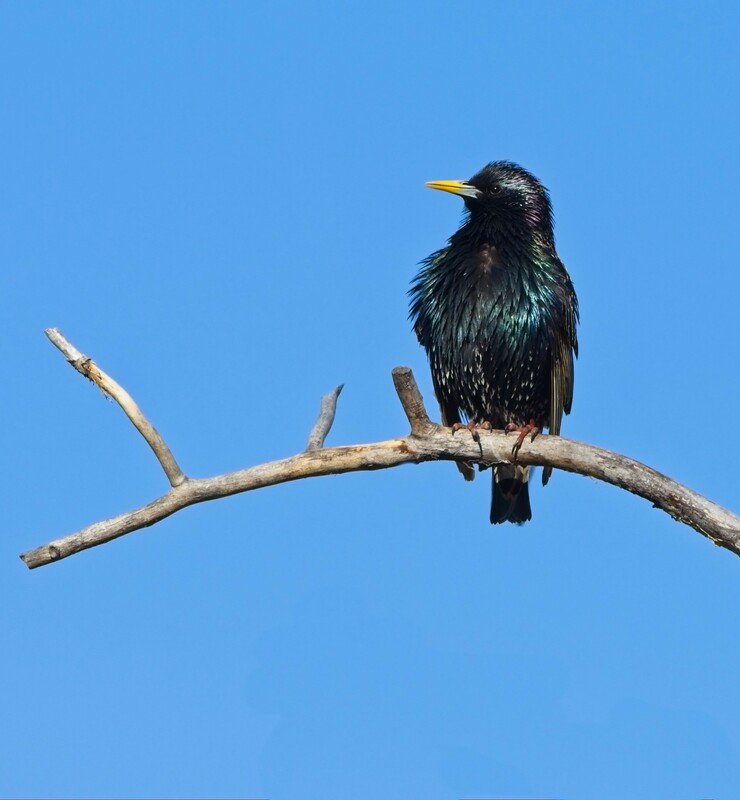 The Starlings are not native to Canada, but they have adopted very well to our cold climate. They were brought here by the early Europeans. I photograph the Starlings every chance I get. I like the florence colours when the sun is shinning on them. As they are very black bird some care has to taken not to under expose the bird. I usually over expose a black bird by one and a half stops. You don't want to overexpose the bird to much as it will be difficult to recover the details in the feathers. Also, don't under expose the bird as this will cause digital noise in the under exposed area. In the photographs I overexposed by .67 EV. In the photos to the right I had to make decisions when photographing the Starlings as to how I was going to compose the photograph. Usually, with a group of birds I like to compose with just one bird in the frame. In the bottom photograph I composed with three birds and not four. Three birds seem to work for a composition as the eye looks at the bird o the left and then move to the two birds on the right. Also, the starling on the left is looking toward the other two Starlings whick works for the composition.